New Rochelle’s schools are producing a large amount of Garbage every day, this is not new to readers of my blog. That this garbage costs us tax payers dearly is also not new. I proposed to the schools in order to curb waste of milk and to reduce garbage that we should institute dispensers and re-usable cups. The Foodservice Consultant told me that it could not be done easily but that she is looking into the feasibility. That would be a wonderful step in the right direction. Right now, New Rochelle generates around 6000 cartons per day, and especially the elementary schools have a milk waste of close to 50%. In an effort to reduce waste, three Olympia (Wash.) School District schools are ditching disposable milk cartons for milk dispensers. Reeves Middle School, Roosevelt Elementary School and Margaret McKenny Elementary School are asking students to use reusable cups to drink milk instead of cartons, which often get tossed in the trash. 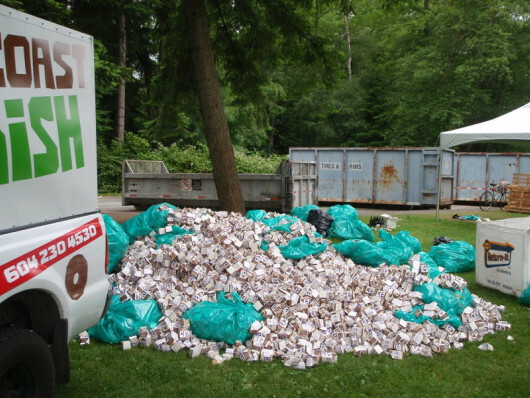 Each school threw away approximately 1,000 milk cartons a week and the move will stop approximately 121,000 milk cartons from going to the landfill each year.